We consider the patient more important than the disease, more important than medicine and more important than dogmatic adherence to homeopathic philosophy. According to the Institute of Medicine, "patient centric" is defined as : "providing care that is respectful of and responsive to individual patient preferences, needs and values, ensuring that patient values guide all clinical decisions." 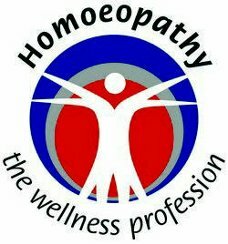 Dr JPB Prinsloo Homeopathic follows a "patient centric" and not a "philosophy centric" approach, which is why all forms of homeopathic medicine are employed, in combination with any other form of treatment necessary to restore the patient back to optimal health. Having been founded more than 60 years ago, this is the oldest and most established homeopathic practice in South Africa. Dr JPB Prinsloo Homeopathic is built on the effective, patient-focussed application of individualised Homeopathic medicine. All our medicines are custom-formulated to meet the specific needs of individual patients, because we consider the patient more important than dogmatic adherence to philosophy. Our primary approach is simplex (single) Homeopathic medicine, dispensed in the form of tablets, in combination with compound homeopathic formulations (Homeopathic complexes) dispensed in drops. From time to time we may also dispense capsules, ointments, jells and creams or even homeopathic injections. What is a Homeopathic Practitioner? Biocura is accepted in the ezSearch South African business directory.